Perfect for pretending to read while you eavesdrop on the table in front of you. A Fire 7: Note the wear in along the top of the device. There are also scratches on the left. Still a Fire 7: Basically untouched by wear. Slap a case on it, and nobody would know. This is an HDX Model, but you can see what we mean by scuffs, dents, dings, and scratches. 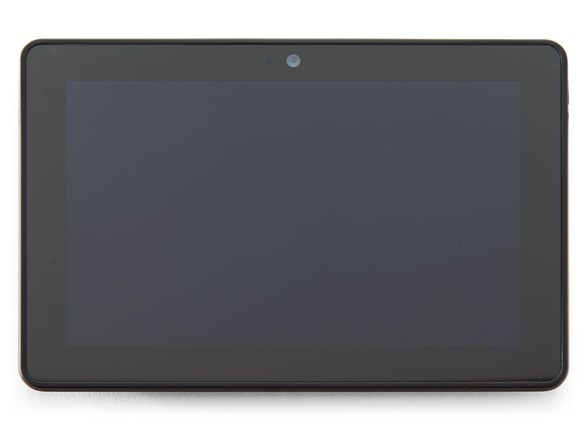 Still an HDX model, but no real wear to the screen of the device. All the wear is on the back. 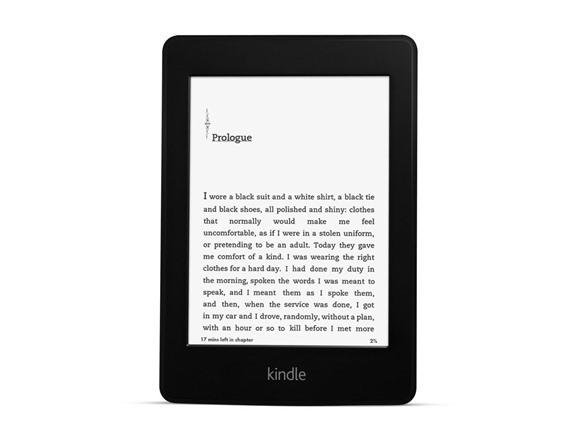 Kindle is designed as a dedicated e-reader. Indulge your love of reading without interruptions such as e-mail alerts and push notifications. 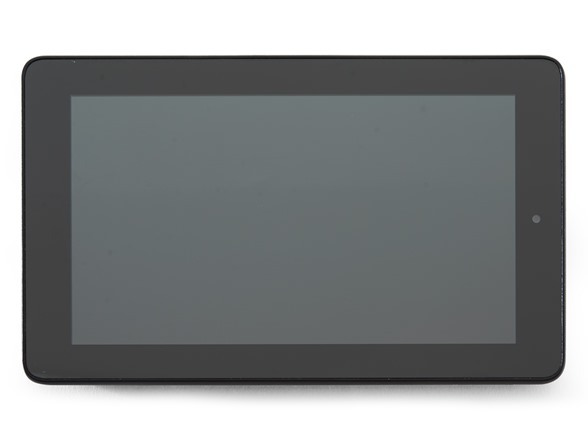 A touchscreen interface makes it easier to use features such as X-Ray, Goodreads, built-in dictionary, highlighting and more. And with a glare-free screen that looks like real paper, you can read as easily in bright sunlight as in your living room. Kindle is lighter than most paperback books, making it easy and comfortable to hold in one hand for extended periods of time. Kindle does not require power to maintain a page of text, allowing you to read for weeks on a single charge. Every time your eyes switch from a bright screen to a dimmer, ambient room, your eyes have to adjust, which may result in fatigue. 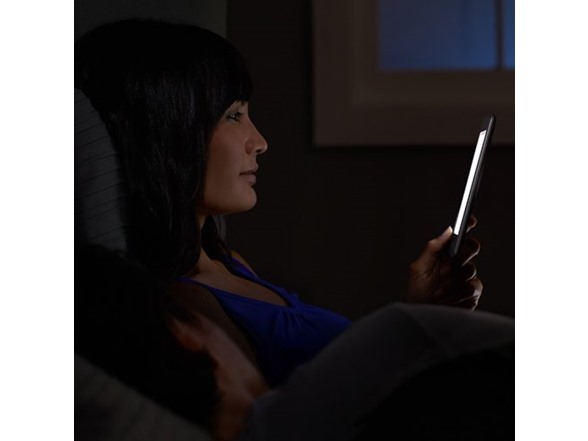 With Kindle, the page is the same brightness as everything else in the room, so no adjustment is needed. Kindle uses actual ink particles and proprietary, hand-built fonts to create crisp text similar to what you see in a physical book. 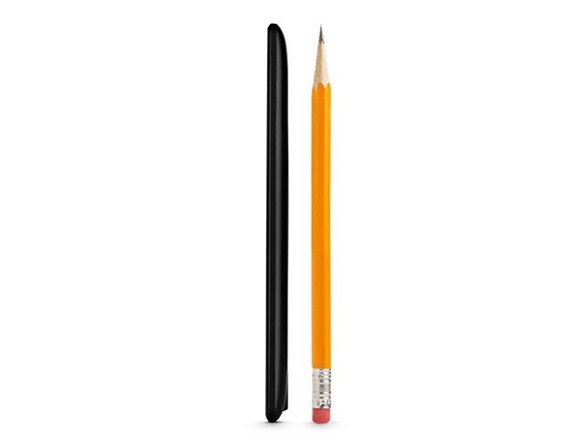 The blacks and whites on the screen are uniform, improving image quality. Enjoy text that reads like the printed page. All fonts have been hand-tuned at the pixel level for maximum readability and comfort. With Page Flip, you can skim page-by-page, scan by chapter or skip to the end for a sneak peek without losing your place. Add margin notes that you can edit, delete or even export from your device to your computer. Share highlighted sections and meaningful quotes on Facebook, Twitter and Goodreads, and see passages frequently highlighted by other Kindle readers. 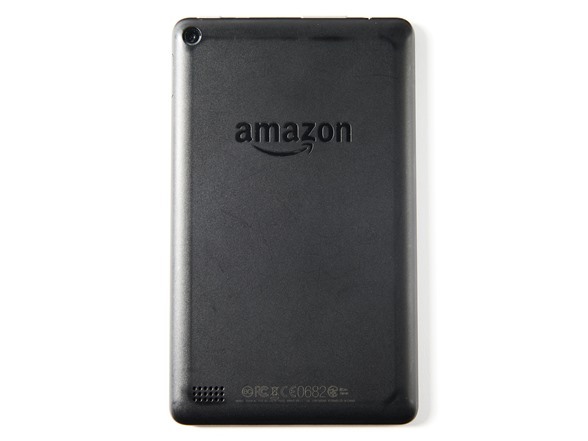 Lighter than most paperback books, hold Kindle comfortably in one hand for long reading sessions. 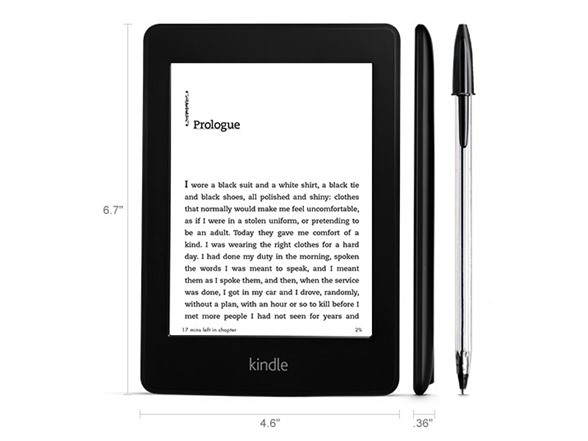 Kindle is purposely designed as a dedicated e-reader. Indulge your love of reading without interruptions such as e-mail alerts or push notifications. Smart Lookup integrates entries from The New Oxford English Dictionary with information from X-Ray and Wikipedia, so you can access definitions, characters, settings and more without leaving your page or losing your place. New — It's even easier to find what you are looking for by combining and previewing results from your Library and the Kindle Store on the same page. Word Wise makes it easier to enjoy and quickly understand more challenging books. Short and simple definitions appear above difficult words automatically, so you can continue reading with fewer interruptions. Tap on a word to bring up a simple card with definitions, synonyms and more. You can adjust the number of hints you see with a simple slider. X-Ray lets you explore the “Bones of the Book.” See all the passages across a book that mention relevant ideas, fictional characters, historical figures, places, or topics of interest. X-Ray's new timeline view lets readers flip through important passages easily to remind themselves of what's happened in the book, or navigate easily through images. See at a glance how long it will take to finish a chapter or book. Time to Read is personalized based on your reading speed, and is constantly updated as your speed and habits change. Words looked up in the dictionary are added to Vocabulary Builder automatically to expand your knowledge and reinforce retention. Swipe through your vocabulary words, quiz yourself with flashcards, and instantly see those words in context. Arrange your books into customized categories by using Cloud Collections. Shop Amazon's expansive selection, choose a title and begin reading your next book in under 60 seconds - no computer required. Kindle holds thousands of books, so you'll never have to leave your favorite titles behind. Whispersync technology synchronizes your last page read, bookmarks and annotations across all your devices so you can pick up exactly where you left off reading. Tap any word or highlight a section to translate it instantly into other languages, including Spanish, Japanese and more. Translations are provided by Bing Translator. Kindle is designed for reading, which means zero distractions for kids. With Kindle, they can look up definitions as they read to build their vocabulary and increase the font size for easier reading. They can read thousands of books for free, including classics such as Treasure Island. And they can easily take their books with them without loading up a heavy backpack. Kindle makes it easy for young readers to add new words to their vocabulary. Words looked up on Kindle are added to Vocabulary Builder automatically, where kids can quiz themselves with flash cards to reinforce new word retention. For kids reading their first chapter books, Word Wise, available on many popular English language titles, makes it easier to enjoy and quickly understand more challenging books. Short and simple definitions appear above difficult words automatically, so they can keep reading with fewer interruptions. Tap on a word to bring up a simple card with definitions, synonyms and more. They can adjust the number of hints they see with a simple slider. Encourage children to read even more. Kindle for Kids lets you create personalized profiles for children, and give them access to titles from your collection of books. Children are rewarded with achievement badges when they reach their goals. A progress report keeps parents updated on total time spent reading, number of words looked up, badges earned and books read. System Requirements: None, because it's wireless and doesn't require a computer. USB Port: USB 2.0 (micro-B connector) for connection to the Kindle U.S. power adapter (not included) or optionally to connect to a PC or Macintosh computer. Weight: 7.3 ounces (247 grams). What does Scratch & Dent really mean? We get this inventory directly from our counterparts at Amazon. When they receive returns or trade-in devices, they grade them on a scale from "Used - Like New" all the way to "Used - Unacceptable". What we've found is that their "Unacceptable" is a misnomer, and really just means it has 5 or more areas of scuffs, dents, dings, or scratches. So my box will say 'Used - Unacceptable'? Why would I buy something that says "Unacceptable"? The term 'Unacceptable' in the real world and 'Unacceptable' in Amazon-land mean 2 totally different things. In this sense, it's strictly an objective term for a device with 5 or more areas that are scuffed, dented, dinged, or scratched. Total. Front or Back or combined from Both. That's it. Don't believe us? Look at the pictures in the Photo Gallery. That's what Amazon's unacceptable looks like. Fine, but what does this mean for me (the customer)? Basically, you get to purchase a legit Amazon device for a steep discount. 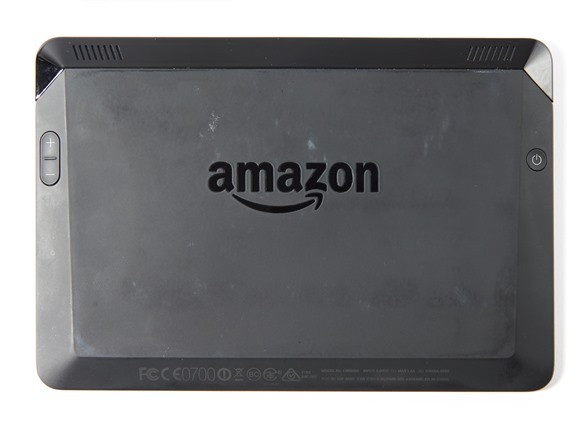 It may not be the newest model, and it may have some scratches character, but it has been fully tested by Amazon themselves...not some guy in their garage. I want to give this as a gift. Can you just mark out the 'Used - Unacceptable' on mine? We'll do you one better. We'll put a sticker over it. We can't guarantee that an annoying inquisitive person won't peel the sticker off to reveal the truth, but we tried. Well, if you're putting a sticker over the 'Used - Unacceptable' label, why go through all of this? We just want to be straight with you. If we got a box from someone we trust and it said "Unacceptable", we'd be hella butthurt about it. But, if you told us upfront about it and why it has to be what way, we'd be cool. TLDR; We treat you the way we'd want to be treated.